In a recent interview in the Beike Biotechnology headquarters in Shenzhen, Dr. Sean Hu shared his thoughts on the current situation of Beike and the field of cell therapy. He is not only the chairman of a major biotechnology enterprise, but also a scientist who is studying how to overcome death. He led the way in stem cell research, which is currently regarded as the most promising cutting-edge technology today, arousing debate and hope around the world. But his path to finding cures for chronic conditions is destined to be full of ups and downs. “Looking for the cutting edge of stem cell science? Instead of Stanford or Cambridge or Singapore, consider Shenzhen. That’s where Chinese entrepreneur Sean Hu has set up one of the most radical businesses in the field.” This quote from a 2006 Bloomberg Business Week article once evaluated Beike’s impact on stem cell research field. Sean Hu is not only a doctor of biochemistry and molecular biology from the University of Gothenburg and Chalmers University of Technology, from the first batch of experts of the “Thousand Talents Program” of China, but also the Chairman of Shenzhen Beike Biotechnology Co., Ltd, and the director of Shenzhen Beike Cell Engineering Institute. 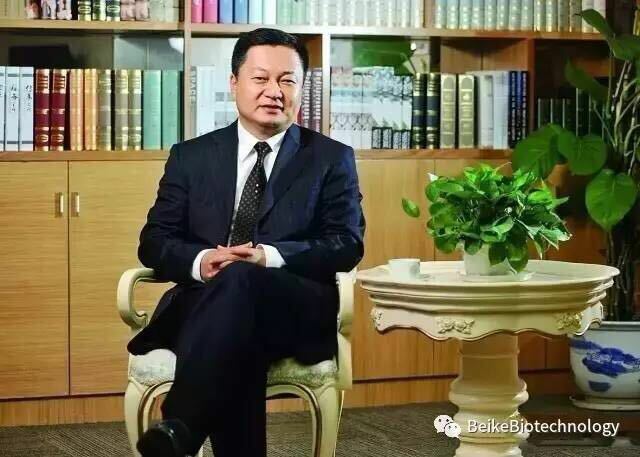 On June 2011, he initiated the establishment of Chinese national stem cell and regenerative medicine industry technology innovation strategic alliance and was elected as the first vice Chairman of the union. In 2012, he was invited to initiate the preparation of the Boao Forum for Asia World Life Science Forum. Additionally, in March 2014, he was invited to visit Germany with Chinese president Xi Jinping. But this is not simply the dreams of a mad scientist.Sean Hu and his team at Beike Biotechnology have been advancing cell therapy and been ahead of the game for over ten years. Since being founded in 2005, Beike has become the industry leader of independent innovation in the clinical transformation of cell therapy. In 2008, relying on a solid R&D and comprehensive independent innovation, Beike began to be an outstanding figure in the international biotechnology arena. At that time, overseas media began regarding Beike as the leader of the stem cell industry, noting that they are in the “top 10 of Chinese companies challenging the West.” The Washington Post, taking Beike as an example, urged the United States to speed up the development of the biotech industry and raised the question “whether the US industry would lose the stem cell race in this round?” At the same time, the Shenzhen Municipal Government positioned Beike as a “high-tech enterprise of urban strategic industry,” and Beike’s headquarters and international stem cell research and development base were completed. While Dr. Hu was full of hope for the future, things were not going fully as planned. Due to stem cell therapy and other cell technology market chaos, coupled with clinical transformation policy regulation changes, the Beike and even the entire stem cell technology industry encountered a downturn. For Dr. Hu, this felt like a five year ice-age, with little room for growth. In that period, Beike began to look for new vitality. With the help of the Shenzhen Municipal Government, Beike’s headquarters and international stem cell research and development base were established, and a transitional platform-based enterprise was founded. From the past production of cell preparation to the service-oriented cell preparation, Beike built the world’s first “double-platform,” which attracted the world’s biotechnology talent and investment – once again gaining steam in the market. From this, a series of gratifying achievements came to fruition.The Shenzhen integrated cell bank and the Shenzhen (Beike) regional cell preparation center officially opened in 2015 just in time for the Shenzhen International BT leaders summit. In the United States, Beike was the first first foreign institute promoted to all federal funding projects by the NIH (US National Institutes of Health) and NCI (National Cancer Center). This means the Beike’s transformation platform can be funded within the United States and abroad. In 2016, Beike participated in the global science program – the United States’ “Cancer Moon Shot 2020,” which was a big human health science program following the human genome. A few days before joining the program, Beike and a Japanese robot company reached a cooperation agreement, which was going to research and develop cell preparation robotics to improve cell production efficiency. The Shenzhen integrated cell bank and Shenzhen (Beike) regional cell preparation center, is an innovative model of Beike’s cell therapy industrial development. Dr. Hu’s plan uses the integrated cell library plus a regional cell preparation center tied together with the internet of things as a method to build a cell treatment network, which not only meets clinical needs in a timely manner, but also takes care of production scale and the interests of technology providers. The goal is to provide an innovative public technology platform and infrastructure for the clinical transformation of cell therapy, and ultimately forming an individualized cell therapy service platform and national network. This public clinical transformation service platform of individualized cell therapy would not only build regulatory cell preparation centers for most hospitals and patients by establishing a service system, but wuld be the standard of efficiency, open to all hospitals, upstream companies, any individual cells treatment technology research teams, founders of biotechnology companies and technology inventor individuals who wish to start their own business on the platform. “Building a platform makes it is easy to promote individualized cell therapy.” According to Dr. Hu’s idea, the integrated cell library and regional cell preparation center implementation follows in the footsteps of other tech giants. As Alibaba opened up Taobao, making shops and shopping easier and how Tencent developed WeChat, making communication simple and smooth, Dr. Hu hopes that people can get low-cost, high-quality health services when they need them through the biotechnology revolution. Each person would be both a beneficiary and a contributor to this market model, accelerating the concept and making the most impact. A tiny cell donation from each person could lead to a world of different treatment options for everyone. Scientific and technological innovation to benefit the general public’s health – that is the dream which Dr. Sean Hu has been pursuing. Dr. Sean Hu knows he is dreaming a big dream, but he is on his way and believes that personalized cell therapy is the key.